Windows 7 OS, new AMD E-450 processor, 4 GB RAM, great Radeon graphics :AMD® Radeon HD 6320/AMD® Radeon HD 6290, HDMI out, and one USB 3.0 port. 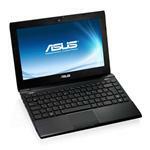 It weighs in at about 3.1 pounds compared to the typical 2.8 pounds for 10.1-inch netbooks. Related Posts of "Asus EeePC 1225B drivers"